Hugh Laurie. . Wallpaper and background images in the Hugh Laurie club tagged: hugh laurie let them talk actor concert 2012 laurie appearence public. 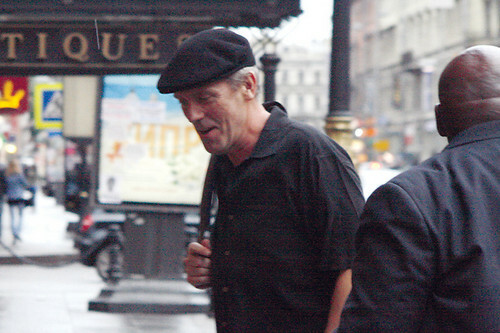 This Hugh Laurie photo contains mitaani, mji eneo la tukio, mijini mazingira, jiji eneo, and mijini kuweka. There might also be suti biashara and biashara suti.